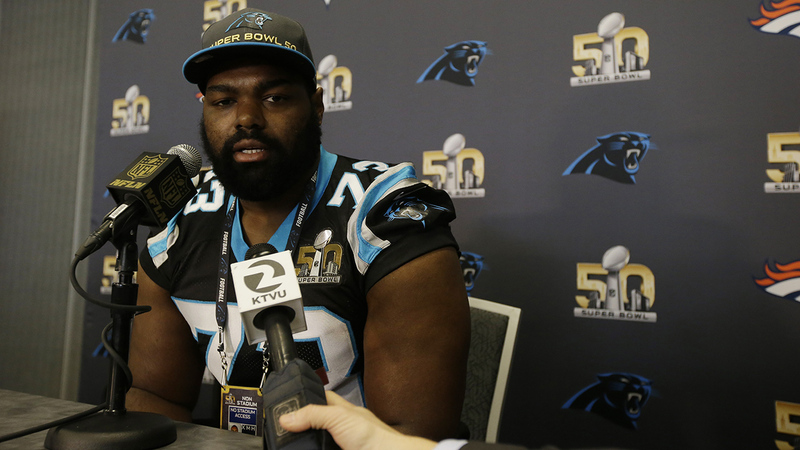 The Carolina Panthers have released offensive tackle Michael Oher, the team announced Thursday. In 2016, Oher started the first three games of the season before a concussion caused him to be inactive for the next seven games and placed on injured reserve. In May, Oher was accused of assaulting an Uber driver in Nashville, Tennessee, according to Nashville Police. Oher turned himself in days later. The high-profile football player, whose life was the subject of the movie "The Blind Side," joined the Panthers in 2015 and started all 16 regular season games and three postseason games for a Panthers team that won an NFC Championship and made an appearance in Super Bowl 50. In eight NFL seasons split between Baltimore (2009-13), Tennessee (2014) and Carolina (2015-16), Oher has started all 110 regular season games he played. He was a member of the Baltimore's Super Bowl XLVII championship team following the 2012 season.